General Electric 7H140 "The Delegate"
This General Electric 7H140 was manufactured by Telechron in the late forties. My grandparents bought this clock after World War II. 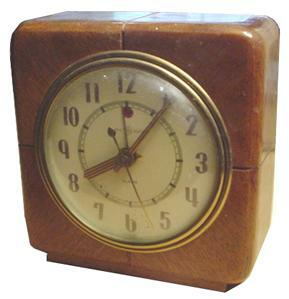 The clock is unique because the mechanism is completely enclosed by the wooden case from the front to back.